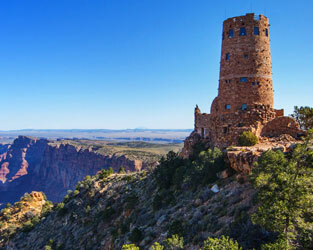 Delaware North has proudly provided visitor services in the Grand Canyon since 1998. 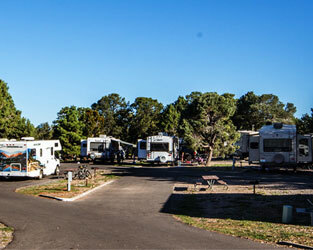 Yavapai Lodge®, Trailer Village® RV Park and all of our retail establishments at the Grand Canyon offer an unforgettable setting for the trip of a lifetime. 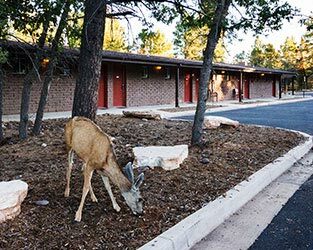 Just half a mile walk from the South Rim, Yavapai Lodge sits in a prime location in Grand Canyon National Park with easy access to dining, shopping and more. This makes it the perfect home base for any Grand Canyon adventure, whether you want to hike, bike, raft, see the Canyon by air or simply admire the view. Both are operated by Delaware North. For decades, Yavapai Lodge has been a family favorite at the Grand Canyon and we're proud to continue that tradition. We also have an eye to the future, which is why we've made significant updates such as Wi-Fi service. 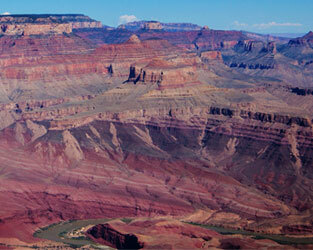 We are committed to preserving the Grand Canyon's natural beauty and encourage our guests to do the same. That's why we participate in programs such as GreenPath® and GuestPath®. Find out more about Delaware North at DelawareNorth.com. 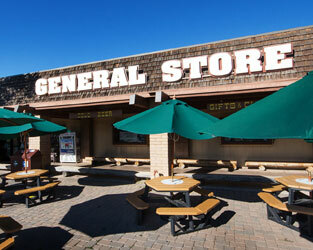 Delaware North's stewardship program, an integrated approach of environmental management, interpretation and education, asset management, healthy food and healthy living, and community outreach, is an integral focus of Yavapai Lodge, Trailer Village RV Park, and in all of our retail establishments.